The world is facing a mounting waste problem, and the effects could have a lasting impact on society and us as individuals. Everyone can make a difference in fixing this issue, including students at Salt Lake Community College. How this is going to happen is the fun part, and it starts with you. The statistics behind the waste problem are the scary part. According to Small Footprint Family, they estimate that the average American creates around 4.4 pounds of garbage a day. SLCC students like William Parra are very passionate about the waste problem and have strong opinions about it. Tiffany, who is getting a nursing degree from SLCC, also believes that food waste is a main source of trash. 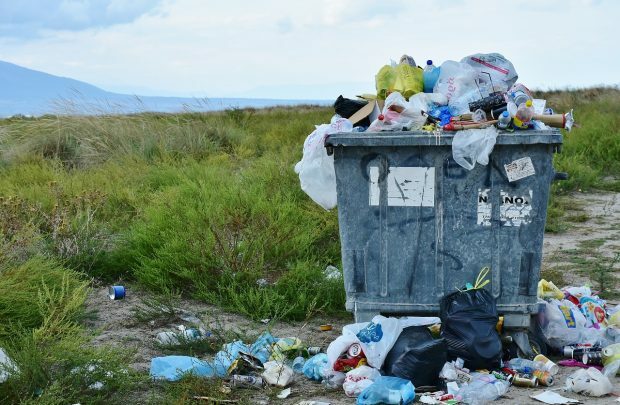 As landfills fill up with trash, everyone can look for ways, both big and small, to dispose of waste in an efficient manner and find greener alternatives. At SLCC, almost every entrance has bins for garbage, recyclables, and bottles. So before you throw something in the trash, remember to recycle what you can to help reduce our waste problem. To learn more about recycling at SLCC, including what items are acceptable for recycling, contact Facilities Services at 801-957-4242.